In the comic book business, a good part of the heavy lifting to get noticed is a great title or narrative hook. 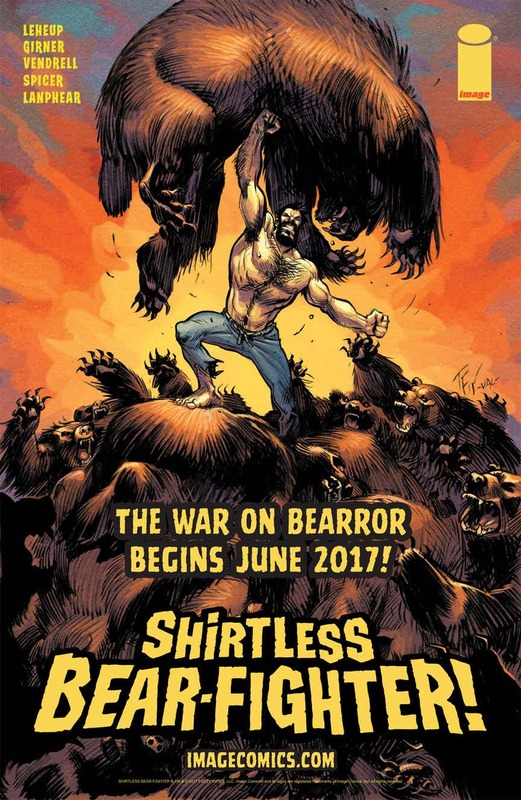 If that’s the case, if the title Shirtless Bear-Fighter doesn’t pique your interest, I’m not sure what will. 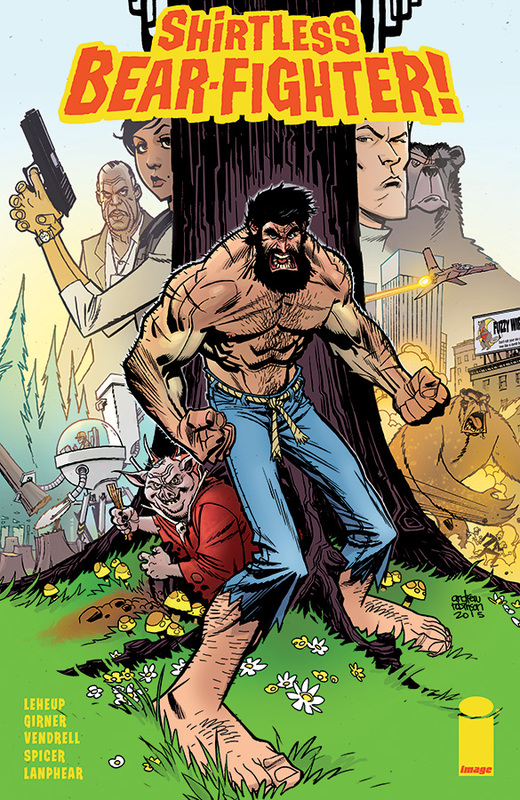 And the concept behind Shirtless Bear-Fighter certainly backs up the crazy-town banana pants name: a human raised by bears and who once protected them and the forest swears revenge when his bear-kin betray him. 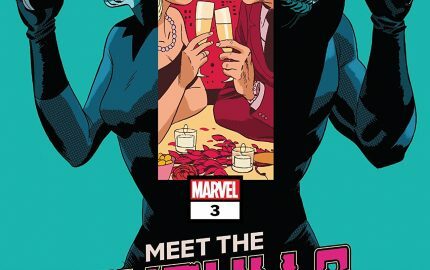 But while series writers Jody LeHeup and Sebastian Girner–former editors for such comic book companies as Marvel and Valiant–want to bring the readers madcap insanity and fun, there’s also a level of pathos that the two are sneaking in among the human-versus-bear fisticuffs. 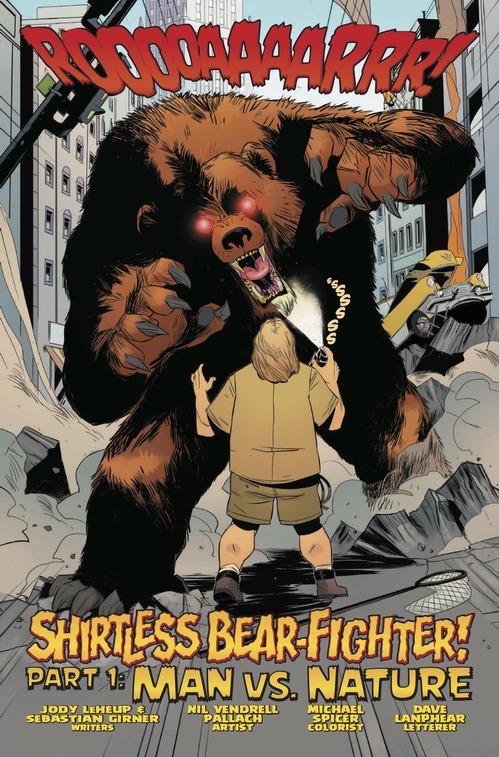 Mr. LeHeup and Mr. Girner spoke with me recently about the conceit of Shirtless Bear-Fighter, bringing genre-bending to SBF, and what we can expect in the series going forward. 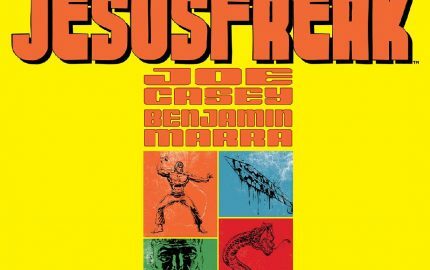 FreakSugar: Okay, before even reading the premise, based just on the name of the book, I was immediately sold. 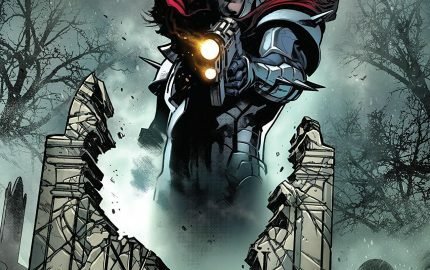 So, before we begin, how did you all land on the concept for the series? 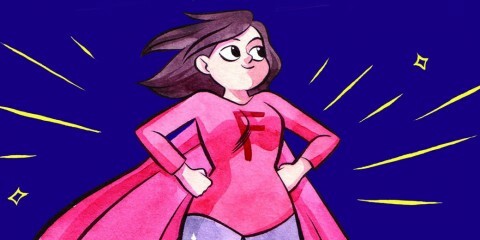 Jody LeHeup: It’s funny where inspiration for a story strikes. Sometimes it starts with a concept or a character or an ending or what have you and you build out from there. With SBF everything sprung from the title. Or rather, exploded out of the it. Sebastian and I were roommates at the time having worked together in comics for a while and we were always cracking story and pitching each other concepts and characters, some crazy, some not. Just constantly throwing out ideas. Then one of us in jest said that someone in a movie or out in the world…I can’t remember…looked like a Shirtless Bear-Fighter. Then it was like we were both hit by comics lightning. 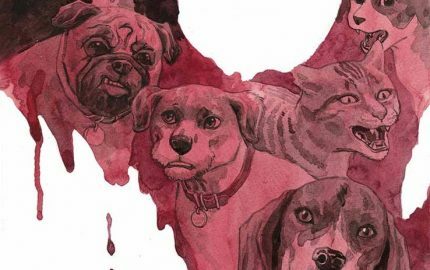 Sebastian Girner: We both felt it was funny and special and just such a crazy, evocative title for a comic that we needed to build a narrative and characters around it that was worthy of it all. So we threw everything we loved about comics, story, action and comedy at the wall and took it from there. FSThe conceit of the story seems pretty laid out in the title, but can you elaborate a little about the story itself? JL: Yeah, it’s sort of a what-if-The–Jungle–Book-went-horribly-wrong kind of thing. And the setup Sebastian mentions is basically the starting point. 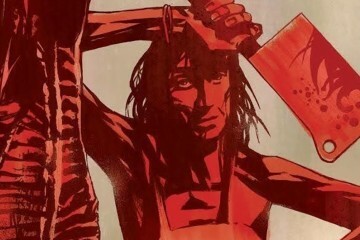 With Shirtless deep in a revenge-fueled rage state hunting down bears that are attacking human populations. But what he (and the reader) discover is that there is much more going on than there appears at first blush. Someone from Shirtless’ past is using his anger against him…in what way and to what end are part of the journey. 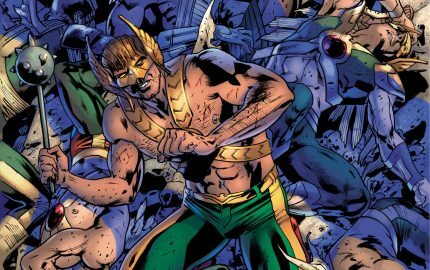 But along the way Shirtless is going to have to change if he’s going to save his loved ones and by extension himself. 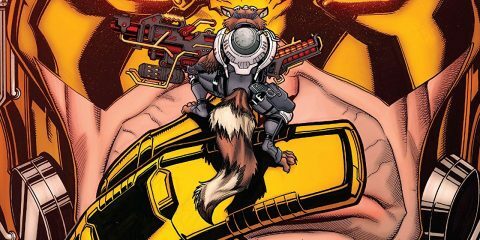 FS: There’s a fun, crazy-town banana pants tone to the book as the title suggests, but in the first three issues, there’s a real underlying pathos to the series, some emotional resonance you seem to have Trojan-horsed in that works well. Was it always your intention to mix and match genres and narrative feels and incorporate them into the book? SG: Absolutely. The bonkers title is there to grab you and drag you in, but also to let your guard down, in a sense. We wanted to make sure that the story delivered some complexity and flavor underneath the deep-fried fatty exterior, we wanted to serve up a full meal here! 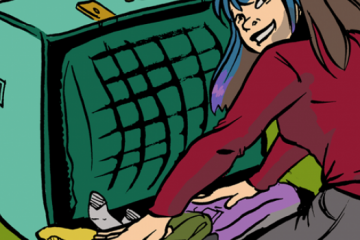 So the comic will have you in stitches with gags, and on the seat of your pants with action, but there’s a lot in there to tug the ol’ heartstring, and even some tricky moral quandaries to mull over. We got it all! JL: Exactly. “Trojan-horsed” really is the perfect term for it. People come to the book expecting bear-brawls and the cry-laughing hilarity…which we deliver in spades SO much oh my god you have no idea…but what many readers won’t expect is a smart story and real human drama that you will immediately fall in love with. SBF really is the total package and we can’t wait to share it with everyone. FS: Following up on that, there seems to be a real effort to mix a variety of genres and tropes from all over pop culture. How did you decide which genres you wanted to zero-in on and envelope into the book’s tale? JL: At this point after years of being visual storytelling fans and later professionals our brains are just like genre soups. So we have a lot of experience with genre tropes and genre-bending. People often talk about subverting expectations when telling a story but with genre, you also have to reinforce certain expectations. So it’s a balancing act. When we were writing SBF we were just bursting with ideas to layer into this elastic world we’d created and in the end we were able to satisfy and subvert a lot of genre elements at one time. From a craft standpoint that’s something I’m proud of. 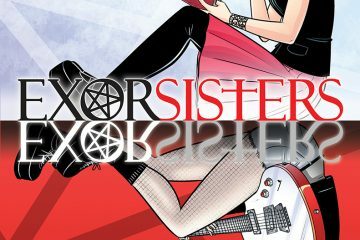 SG: Like Jody said, there’s great opportunity to surprise and shock the reader by serving up a fun and relatable narrative, and then also going against the grain. We love genre, but really only find it still piques our interest when we have the chance to try something new with it. Not tell the same story that’s been told for the past 70+ years. FS: As soon as I heard the concept, I immediately thought of the SNL sketch “Bear City,” and not just because bears are featured in both. 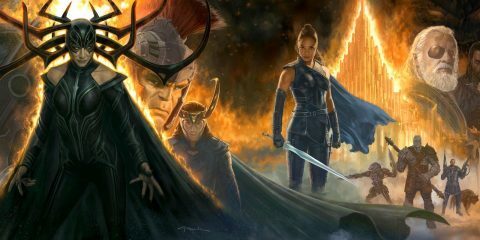 There seems to be a “just go for it” quality to the series, going as big and bold and brazen as possible. Was there a mission statement that you had in mind as you were sketching out the details for the series? JL: Yeah, pretty much. I think it was only in hindsight that we realized what we were doing which was to make comics fun for us as creators again. We’d spent so much time in a work-for-hire setting that once we were let off the leash we just bolted for the horizon and didn’t look back. FS: The art on the book is pitch-perfect, a mix of dynamism and a borderline cartoon style that meshes seamlessly with your story. What was the collaboration process like with Nil Vendrell and Mike Spicer? SG: Jody and I have both worked with dozens of artists and creators over the combined 20+ years we’ve worked in comics, and I think I can say that working with Nil, Mike and Dave (Lanphear, the series letterer) has been a dream. SBF is a deceptively difficult book to draw. For all the reasons we listed above, there are so many tones and genres and different moments the art team needs to be able to deliver: larger-than-life characters and action, small emotional beats and facial expressions, gags that require comedic timing. Luckily, Nil is a man loaded with talent, and he really made the book his own. His linework, his dynamic action and his bang-on expressions and cartooning, it all brought this mad, crazy world to glorious life. JL: And Mike brings a level of polish and sheen to SBF that makes it look like the best saturday morning cartoon of all time. There’s moments of quiet beauty that really pop, like when he see the Forest for the first time, and then he turns around a scene like the lair of the Hillbilly Warlock, and you just know you’re dealing with a stone-cold pro. Dave Lanphear’s lettering is also something that really stands out. He does such wonderful designs and little tricks that give the sound effects life without interrupting reading flow. Comics letterers don’t get a lot of praise, but if you didn’t have pros like Dave lettering comics, trust us, they’d only be half as much fun to read! FS: What can you tease about what readers can expect to see in Shirtless Bear-Fighter? SG: Big action! Big drama! Big laughs! SG: SHIRTLESS BEAR-FIGHTER! has it all and then some! 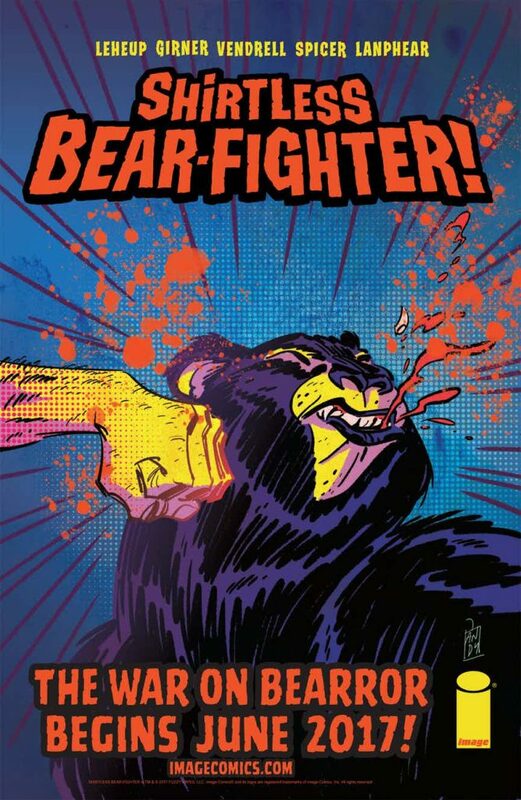 Shirtless Bear-Fighter #1 of 5, written by Jody LeHeup, with art by Nil Vendrell and Mike Spicer on art and lettered by Dave Lanphear, is on sale June 21st from Image Comics. After being betrayed by the bears that raised him, the legendary Shirtless Bear-Fighter wanders the forest he’s sworn to protect, fistfighting bears, eating flapjacks, and being the angriest man the world has ever known! When wild-eyed, super-strong bears attack the citizens of Major City, Shirtless ventures into the human world to do what he does best…PUNCH THOSE BEARS IN THE FACE! But all is not as it seems. Someone is manipulating Shirtless…and only by confronting the demons of his past can Shirtless hope to save his future! A heart-filled, hilarious, tall tale for the ages… you don’t want to miss SHIRTLESS BEAR-FIGHTER! 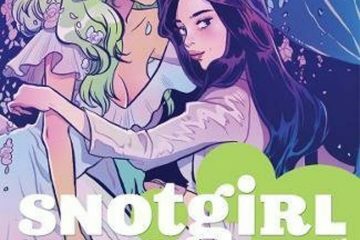 Get Your Hankies: SNOTGIRL Is Returning with a Second Volume!